What is the need to integrate ICT in education policy and how will it work for the Indian education system? How is India unique in its issues and concerns for integrating ICTs in education? 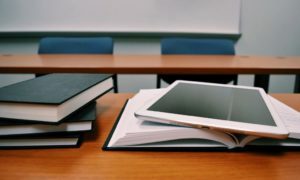 Integrating ICTs in Education is a relatively new turf and Ministries of Education across the world are trying to find the right balance to optimise educational outcomes. There is also a need to understand the key issues underlying the problems and to formulate sensible strategies. Without a purposeful “End to End” policy driven by political will and authority, ICTs may remain a peripheral subject and an enormous opportunity for enhancing learning and subsequently creating an equipped work force and improved living conditions may be lost. In the Indian context, a purposeful policy assumes greater significance in view of the complex challenges we face as a large nation with divergent requirements. Besides the size and spread of the school education system in the country, which is second only to China, we also have major issues of access, opportunity and gender discrimination. The deployment, and usage of ICT in Indian schools is also an aberration in many ways. India has the distinction of being the country with the largest number of ICT in education initiatives, but these are primarily concentrated in six or seven states, where as others have little or no awareness about this new tool in education. GeSCI works in Bolivia, Namibia, Ghana and Rwanda and we realise that India is unique not only in its challenges, but also in its approach on managing these challenges. In emerging trends of e-Learning, where do you place GeSCI? 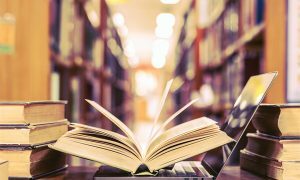 What are the innovative e-Learning best practices or policies specific to the organisation, that can impact the education community? Many developing countries seem to be simply “copying” the developed country approaches. Many Ministries of Education in developing countries are faced with systematic weaknesses and ICTs have not traditionally been their core competence. If developing countries are to realise the potential and benefits of ICTs in Education in improving access, quality and efficiency in a cost and educational effective manner, then they urgently need to develop a clear understanding of the benefits and potential roles ICTs can play in education; develop, build and enhance the capacity within Ministries of Education to strategically plan for, set priorities and targets and effectively deploy ICTs for Education; assume clear leadership of and drive the ICT in Education agenda while cooperating with and coordinating the NGO and private sector stakeholders; move beyond “pilot programs” to well thought out and planned, scalable, cost effective and sustainable national initiatives. GeSCI was created specifically to respond to these urgent needs of the Ministries of Education in developing countries. GeSCI`s role to help Ministries coordinate the entire process according to its educational objectives is unique and has proven beneficial to its developing country partners. What are the focus areas identified by GeSCI on the use and integration of ICT in education in India? A well coordinated and structured policy leading to a practical and dynamic implementation plan will enable the country to achieve the Millenium Development Goals faster. 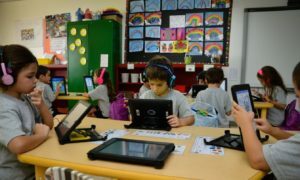 What is your vision of the `future classroom` in Indian schools in the digital age? How do you think the success of ICT use be measured in the school education system? The Future classroom would be a place where all students have the opportunity to attend school and participate in a meaningful educational process. As demonstrated by the Indian IT business, effectively using ICTs in Education can reduce the trauma on the socio-economic fabric of India. Education today must be linked to opportunities of economic improvement through better learning, understanding and exposure to a global environment. Success would be measured not simply by achievement scores, but by the level of learning, number of students opting for higher education, research and by the number of students taking up jobs in the knowledge economy, as opposed to an overall increase in the economic conditions of the people of India.